Cartridge yields approximately 330 pages. 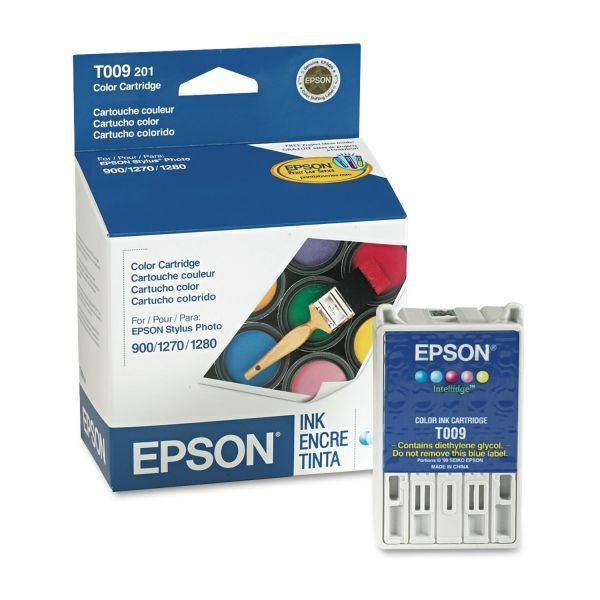 Features quick-drying, acid-free ink with resistance to bleeding and smudging. Colors dry immediately on most papers. Epson T009201 (09) Ink, Assorted, 5/PK - Ink Cartridge is designed for use with Epson Stylus Photo 1270 and 1280 printers. Yields 330 pages. Designed to provide optimal printing performance.